Implementing a WebSphere Application Server environment on z/OS and deploying applications to it in a manner that delivers the best performance is not a trivial task. There are many parameters that can be influenced and applications can be written in many different ways. 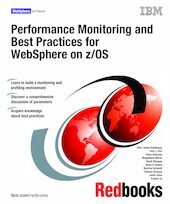 This IBM Redbooks publication will give you a structure you can use to set up an environment that is tuned to meet best performance and at the same can be monitored to catch eventual performance bottlenecks. We also pay attention to workload testing using a variety of tools and best practices in writing and deploying applications.